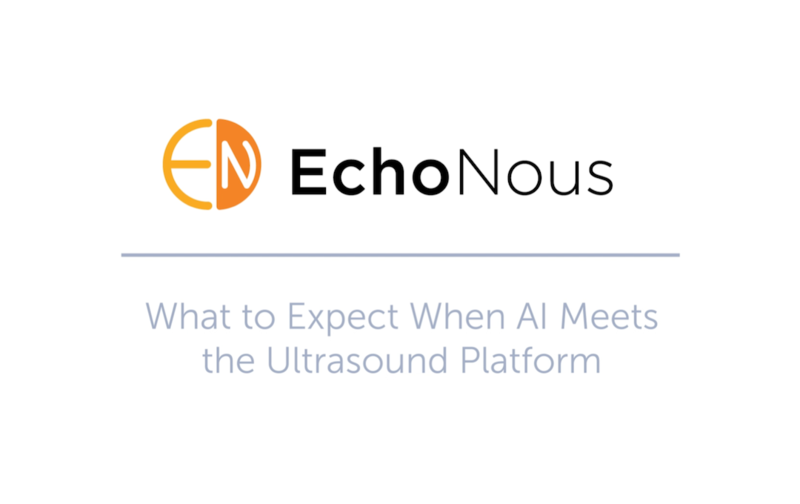 SEATTLE, WA – October 5, 2018 –EchoNous, a developer of intelligent medical tools, is applying the emerging field of artificial intelligence (AI) with the extreme miniaturization of ultrasound to solve common everyday problems in health care. 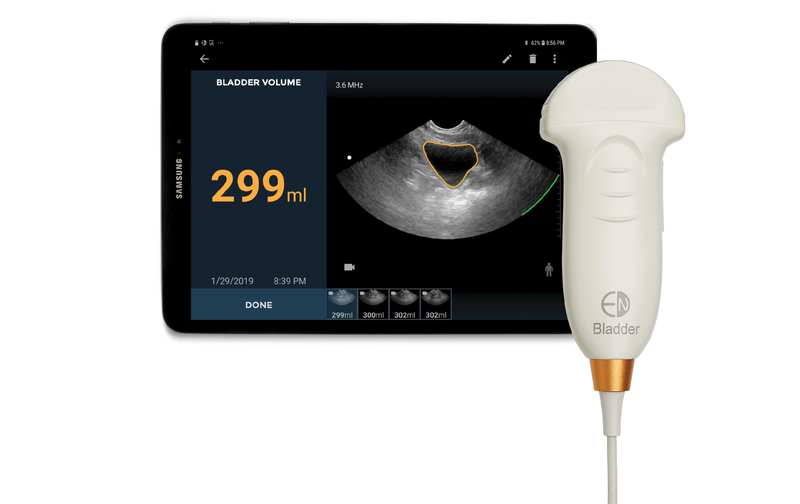 During the MD Expo 2018, October 5-7 in Seattle, EchoNous will be providing biomedical engineers and managers (biomeds) hands-on demonstrations of the EchoNous Vein– a new, ultrasound-based tool designed to improve first-time peripheral IV (PIV) placement, and Uscan– the industry’s first AI-driven bladder tool. Both of these intelligent medical tools will be shown as part of EchoNous’ nursing platform, the recently released AI Station– an innovative docking system designed for the modern hospital. The AI Stationwas created by reimagining every component of the nursing dock based on first-hand direct input from biomedical engineers and clinicians. Key design elements include probe cords docked in an “inner channel” to prevent snagging and tripping, and feature materials such as chemically-resistant anodized aluminum and TritanTM plastic to optimize durability and cleanability while maintaining a low weight for ease of maneuvering. Biomeds attending the conference will also see demonstrations of the EchoNous Vein, which was designed to provide an immediate and clear image of veins using just two-button controls. 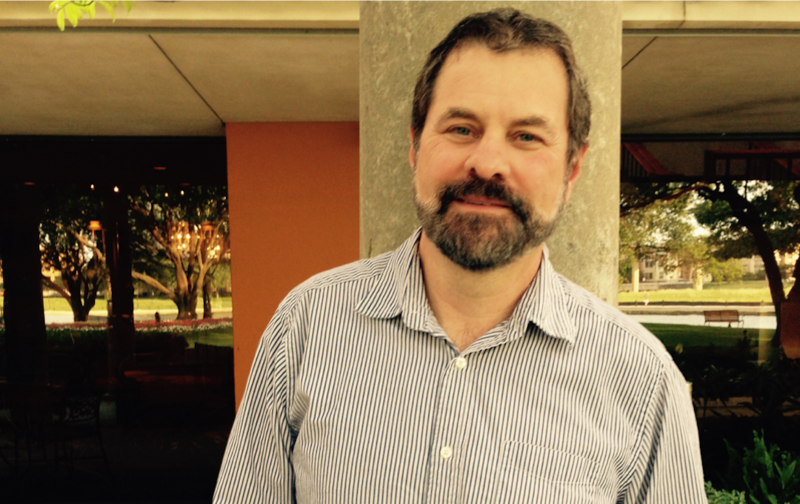 As part of the company’s 100% commitment to device uptime, the tool comes with EchoNous’ standard 5-year product warranty and customer service, providing one of the industry’s lowest cost of ownership. More information on EchoNous’ approach to product maintenance and customer service is available in the short video The Medical Device Service & Repair Run Around. 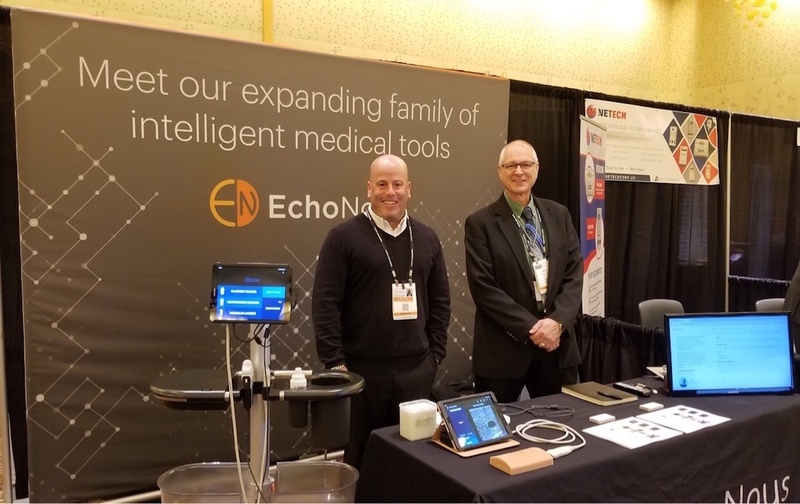 Biomeds attending the MD Expo 2018 can learn more about our intelligent medical tools by visiting Booth #212 during the conference.